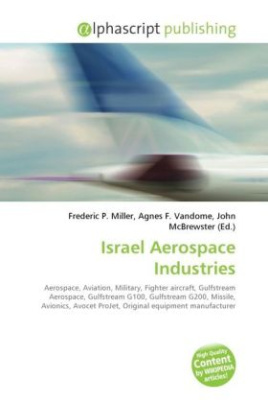 Israel Aerospace Industries or IAI is Israel's prime aerospace and aviation manufacturer, producing aerial systems for both military and civilian usage. It has 16,000 employees as of 2007. In addition to local construction of fighter aircraft, IAI also builds civil aircraft and performs local maintenance of foreign-built military and civilian aircraft. In addition, the company works on a number of missile and avionics systems. In 2003, Israel Aircraft Industries attempted to enter the VLJ Market, by launching the Avocet ProJet, a 6-8 seat, high utilization air taxi, with a list price almost half the cost of the least expensive business jet available at that time. In early 2006, the ProJet stalled after a major undisclosed US OEM pulled out of the program due to unspecified reasons. Although the IAI main focus is aviation and high-tech electronics, it also manufactures military systems for ground and naval forces. Many of these products are specially suited for Israel Defence Forces needs, while others are also marketed to foreign militaries.